Steve’s breakdown: Kar’s Nuts and Sanders were never really accounts on their onw but now that they are one, look for the team to get serious about advertising. DETROIT, MI: It’s Sweet & Salty trail mix marries bumpy cake. Two iconic Detroit-area food brands — Kar’s Nuts and Sanders — have united under the same ownership and plan to expand the reach of their snack and confectionery products to more store shelves. 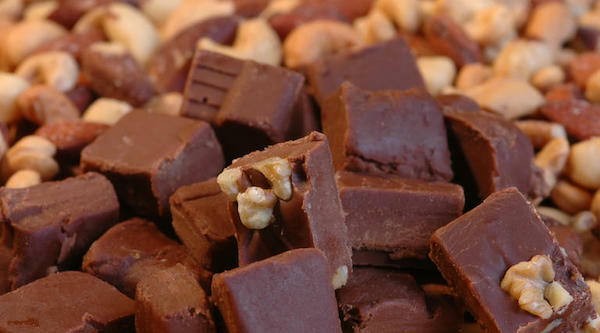 Madison Heights-based Kar’s Nuts, which makes a top-selling trail mix, announced Wednesday that it has purchased the Clinton Township-based owner of Sanders Fine Chocolatiers. The sale price of Kar’s deal for Morley Candy Makers was not disclosed. Kar’s Nuts President Nick Nicolay will be chief executive officer of the combined companies. Sanders will operate as its own division within Kar’s Nuts; the work forces of both companies will stay in place. In a phone interview Wednesday, Nicolay said that the biggest initial changes for consumers will be finding Kar’s products for sale inside Sanders’ seven metro Detroit retail stores, and seeing more Sanders products arrive in supermarkets via Kar’s larger distribution channels. Both brands have deep local roots. Sanders was started in Detroit in 1875 when Fred Sanders Schmidt opened a candy shop. Kar’s Nuts also began in Detroit in 1933 when Sue Kar started roasting peanuts in her Corktown house for sale outside Tiger Stadium, then called Navin Field. “You’ve got two really longtime brands in this town and we’re exciting to have them join us,” Nicolay said. The now-combined companies are projected to do about $185 million in revenue for 2018. Kar’s Nuts on its own has reported annual revenues of about $140 million. Kar’s Nuts, which labels its trail mix as “Detroit Born,” also owns the Second Nature trail mix brand. Nicolay said no layoffs are envisioned at this time as a result of the deal. Kar’s Nuts has about 225 employees and Morley Candy Makers has roughly 200 employees. “We like the fact that (Morley) is a well-run company, it is a profitable business, they make a quality product and they are about where we were 10 years ago,” he said. For Kar’s Nuts, the deal is its first acquisition since receiving a major investment in March 2017 by an affiliate of New York-based private-equity firm Palladium Equity Partners. Palladium is considered a middle-market firm with $2.7 billion in assets. “We did not know they (Morley) were for sale, but our PE firm sees these opportunities all the time,” Nicolay said. Sanders products comprise most of Morley’s business, although the company still makes Morley chocolates for school fund-raisers.